See what others are saying about sidekicked! "As riveting a rendition of superdom as even Superman's creator could have pulled off." "Anderson tackles some heady topics, including superhero morality, teenage confusion, and divided loyalties, playing with the usual comic book tropes without treading on overly familiar ground … There’s a lot to enjoy, from memorable characters to a complex yet accessible plot, in this superhero story that any comics fan will enjoy." "Will make you wish you could turn pages faster than a speeding bullet just to find out what's going to happen next." "It's the perfect training manual for superheroes everywhere. And that means all of us." 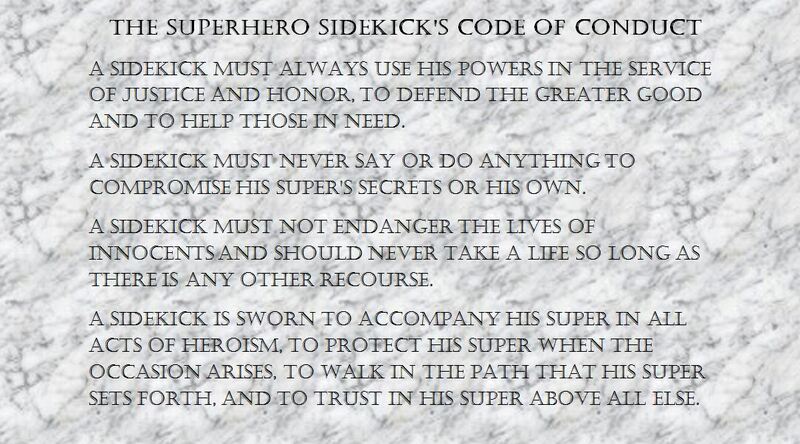 "Anyone who enjoys superhero stories will most definitely want to read Sidekicked. Though a middle grade novel, John David Anderson's Sidekicked is a story that will please children, teens and adults alike with its clever humor, vibrant cast, and action-packed plot." 2013 Cybils Award Finalist for Speculative Fiction! Click here for fifty more reasons to read the book! Do you have any special talents? For example, do you find that you can often tell what others are thinking? Or do you sometimes accidentally catch things on fire? Have you noticed your skin changes color when you are angry or upset? If so, the Highview Environmental Reclamation Organization might be the place for you. Our mission: To keep the trash off the streets! If you are interested, click on the button below. Or you can download and fill out this form and mail it along with a self-addressed stamped envelope to the address below. Please allow ample time for response. We are very busy, you know, cleaning the environment...and stuff. And they deserve all the help they can get. That's why I threw together this handy Teacher's Guide for any awesome educator using SIDEKICKED in the classroom. Click the file to download. make your own Super Trading Card! "I sleep with my Fox card underneath my pillow every night. She is so awesome." Click here to make your card today! 1. If you were an evil mastermind, what would you fill a pit with to slowly and painfully execute Supers with? 2. What's the suckiest superpower you can think of? Explain your answer. 3. What's in sloppy-joes anyway?